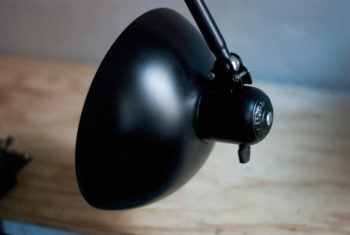 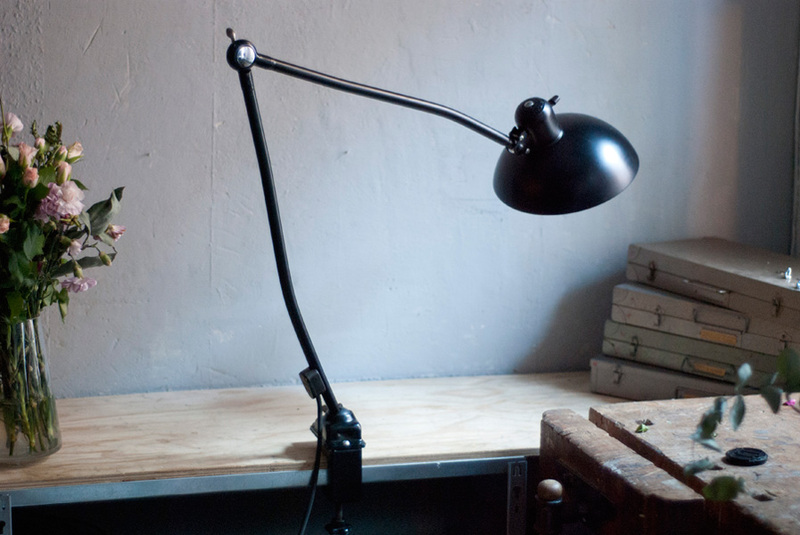 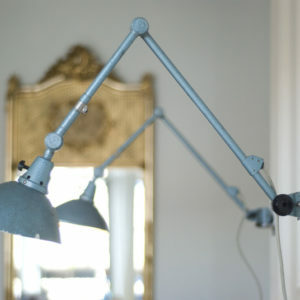 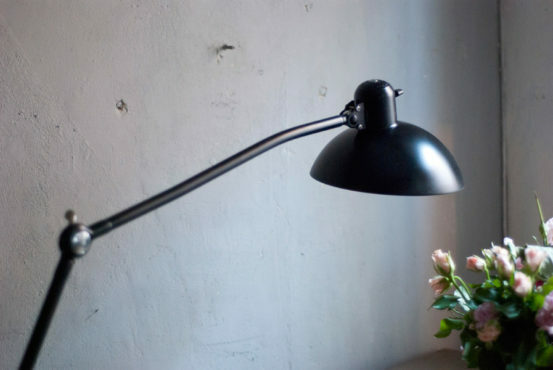 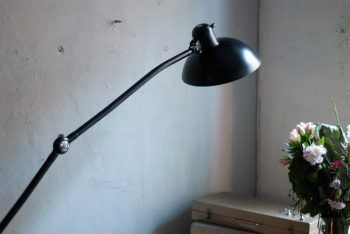 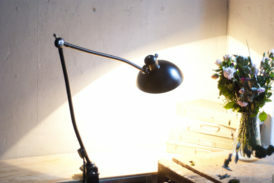 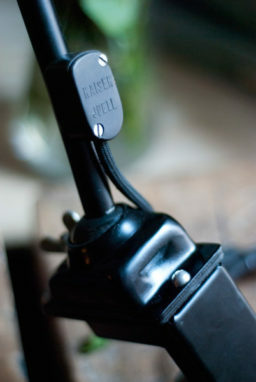 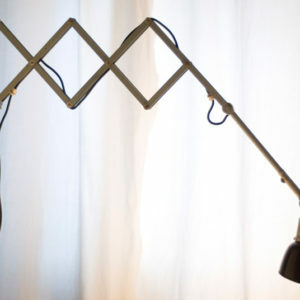 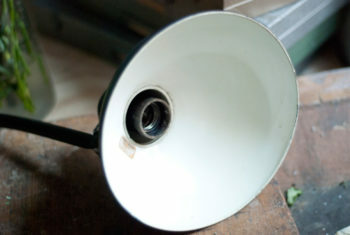 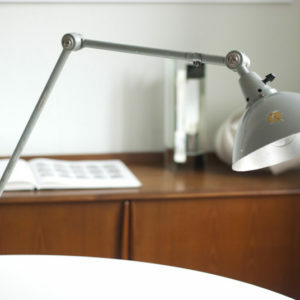 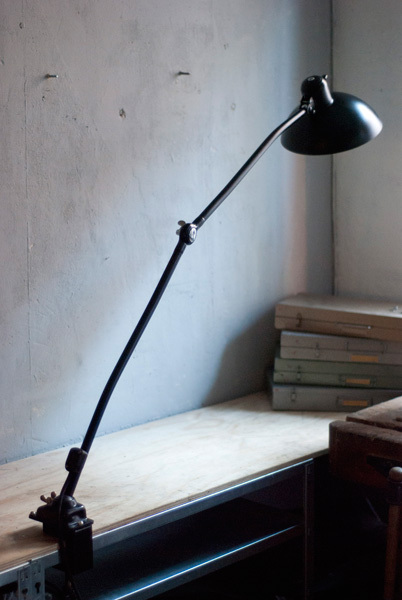 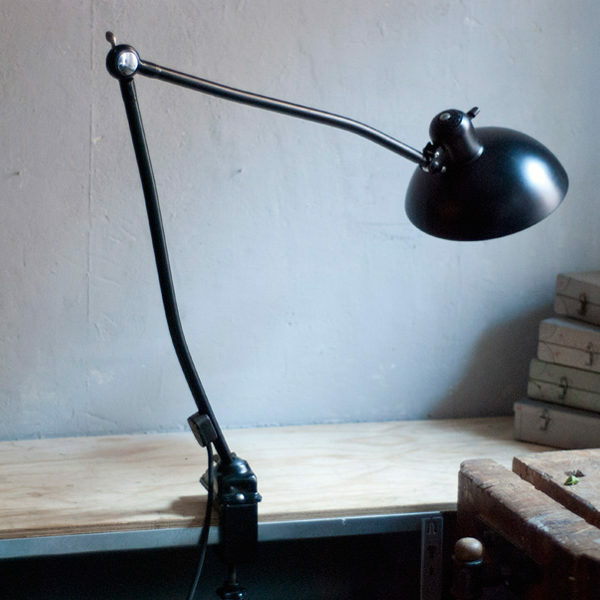 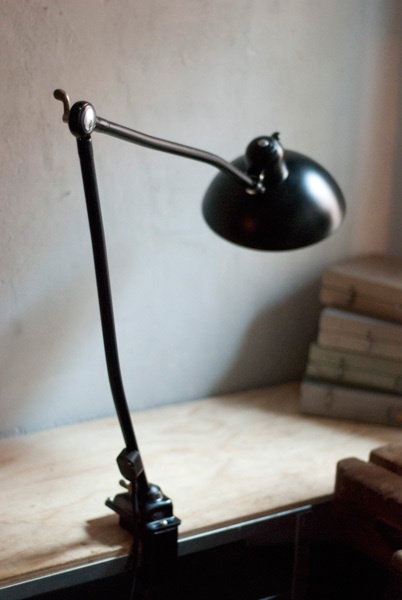 This Kaiser Idell 6726 hinged lamp is an original designer classics from the 30s. 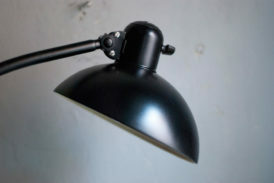 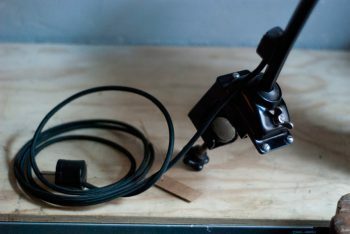 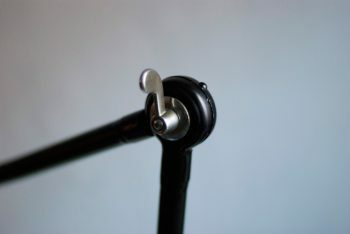 The light is operated by a rotary switch located on the shade. 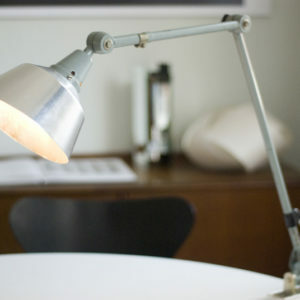 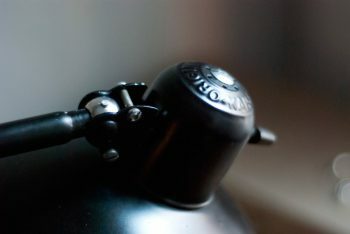 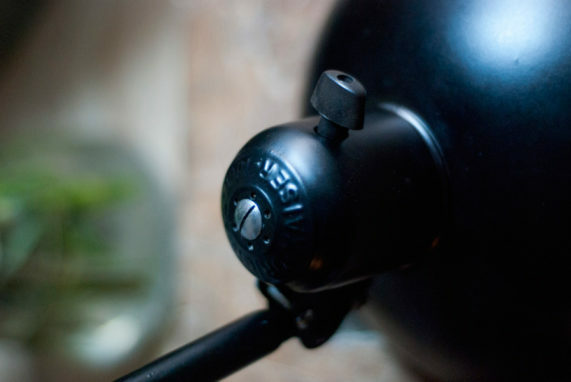 The lamp can be easily screwed to the table with the original lamp base.